Last week, Scott Weiland, embattled lead singer for the Stone Temple Pilots and Velvet Revolver, died in his sleep; the cause has not yet been confirmed by authorities. On Tuesday, his ex-wife Mary Forsberg Weiland, the mother of his two teenaged children, published an open letter asking fans not to glorify Scott’s death. In Rolling Stone, Forsberg Weiland laid out the reality of living with someone struggling with addiction, pointing out that he gave up long before he passed away. We don’t want to downplay Scott’s amazing talent, presence or his ability to light up any stage with brilliant electricity. So many people have been gracious enough to praise his gift. The music is here to stay. But at some point, someone needs to step up and point out that yes, this will happen again—because as a society we almost encourage it. We read awful show reviews, watch videos of artists falling down, unable to recall their lyrics streaming on a teleprompter just a few feet away. And then we click “add to cart” because what actually belongs in a hospital is now considered art. Forsberg Weiland says her ex-husband struggled with drug addiction and “multiple illnesses” including bipolar disorder. She writes that she’d spend “countless hours trying to calm his paranoid fits” and would “[fill] him with coffee” just so Scott would be able to attend his children’s recitals. At certain points, she claims, Child Protective Services would not let him be with his children unsupervised. When Scott Weiland moved on, Forsberg Weiland was hopeful that he’d get himself together. Instead, when he remarried, the children were replaced. They were not invited to his wedding; child support checks often never arrived. Our once sweet Catholic boy refused to watch the kids participate in Christmas Eve plays because he was now an atheist. They have never set foot into his house, and they can’t remember the last time they saw him on a Father’s Day. As with artists like Amy Winehouse and Kurt Cobain, music culture often lionizes the mystique of substance abuse, but as Forsberg Weiland writes, it shouldn’t. Addiction leaves children like Weiland’s or Frances Bean Cobain in its wake, something the macabre market built around performers battling it doesn’t often stop to consider. 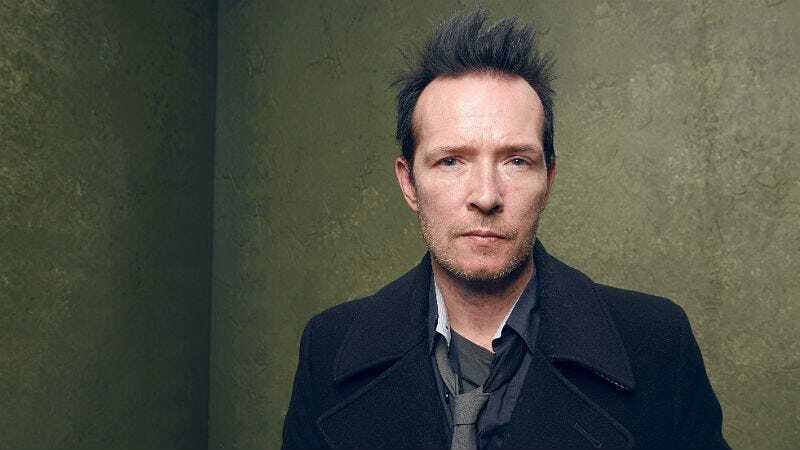 Scott Weiland is survived by his wife Jamie Wachtel, his ex-wives Forsberg Weiland and Janina Castaneda, as well as his two children, Noah and Lucy.